The importance of having a professional photographer at your wedding can’t be understated – a seasoned pro captures all of the emotions of your big day naturally, unobtrusively, and beautifully. My wedding photography rates and packages are compatible with most Orange County wedding budgets and if you don’t see exactly what you want, I would be happy to create a custom wedding photography package that is everything you have been dreaming of. Our 40-page coffee table 8x10 album is only $475.00 (regular price $595.00) when purchased with any photo package or select our best selling 40-page 8 x 10 Metallic and True Black & White $675.00 (regular price $995.00) when purchased with any photo package. Custom storytelling DVD slideshows. Nothing tells the story of your magical day like a DVD montage of you favorite photographs set to the music of your special day. 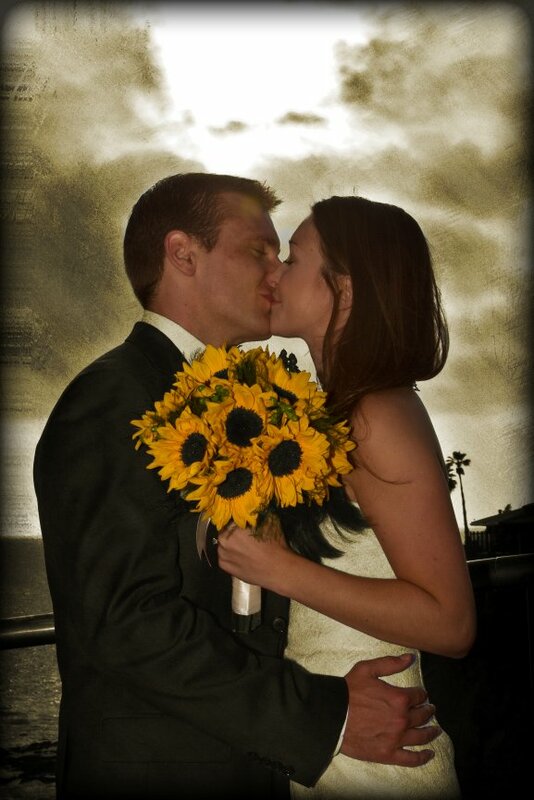 We can also create the story of your life and love to play at the wedding reception. This medium can be posted on your website or Facebook page so all your friends and family can relive the magic of your wedding day.